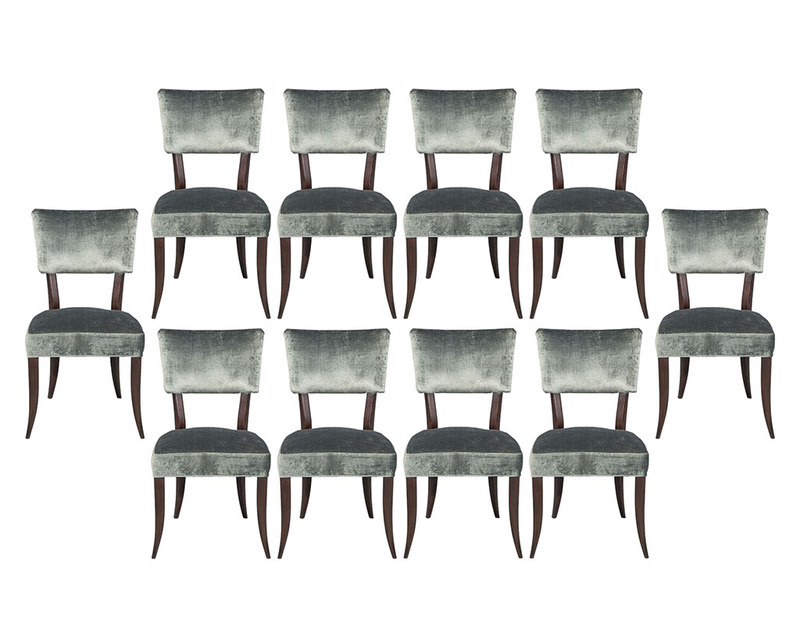 Set of 10, Italian made transitional dining chairs featuring a unique show wood frame with elegant soft curves extending through the heavily tapered leg. Constructed with European beech wood, the frame is strong while remaining light for easy mobility. This set has been custom finished in Espresso walnut and hand rubbed to a glowing patina by Carrocel craftsmen. Complementing this finish is the designer shimmering steel blue velvet upholstery. This chair can be custom ordered in different finishes and fabrics.